Let your friends know where you came across your formatted resume for free. Do them a favor by e-mailing them this page. Just as easy to use the bookmark below. If you download--when the file opens click save as--choose save in Desktop--with the same file name. Your resume will be much easier to locate later when you need it for the editing you will complete. Take these 3 facilities resume formats and edit them with your own information after you download them. Just backspace your way through it and substitute your original info from your old resume. After you are done editing, compare the three and choose the one you like the best. It's oh so easy. 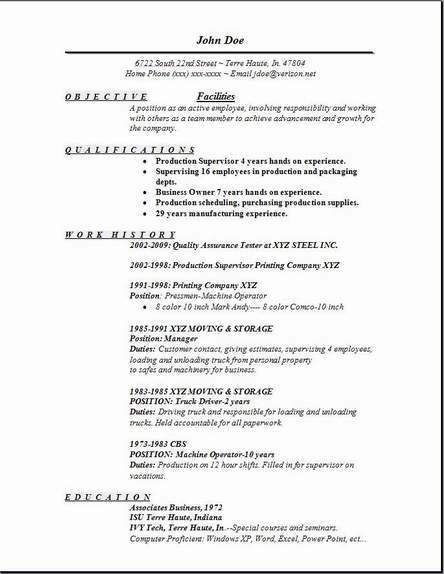 It's really that easy and, that's the fastest way to create your resume, so once you edit this resume with your own information you will be done. 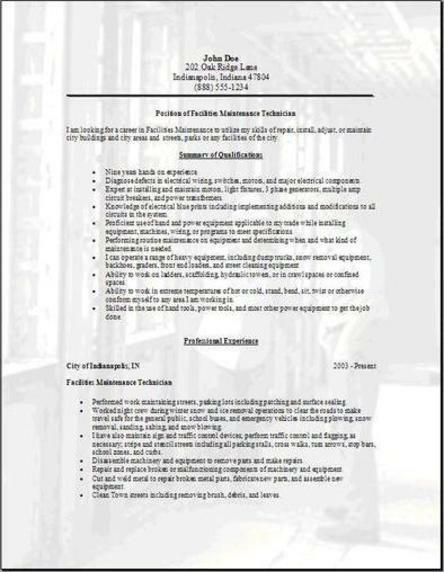 I hope you find these free facilities worker resume examples useful. I also hope you get a call for the job. 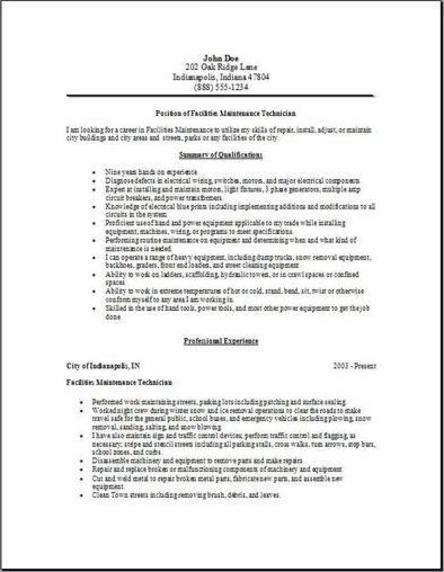 Visit some of the other pages to get some better ideas of what the other resumes look like. Adding something from one of them to yours is a great idea. A facilities worker is responsible for the up keep and repair of the buildings and any associated systems, installation of any new equipment and the repair of existing equipment, maintenance of the grounds area, and performing all general care of the facility as you are assigned daily. Quite a few skills are needed, including but not limited to electrical experience, plumbing skills, general carpentry skills, painting, small engine maintenance, landscaping, and custodial cleaning abilities. 1. Applying your skills to perform maintenance and repair of all buildings and grounds in all assigned areas. 2. Maintaining all power equipment in good condition and working order. 3. Maintaining the grounds, lawns, and all sprinkler systems. 4. Keeping an accurate inventory of equipment, all supplies, and other necessary items required to perform your duties. 5. Performing minor repairs to the buildings plumbing, electrical system, miscellaneous repairs of doors, windows, etc. 6. Accepting deliveries made by vendors when necessary. 7. Maintaining all security and safety equipment. 8. Performing any other duties you are given.